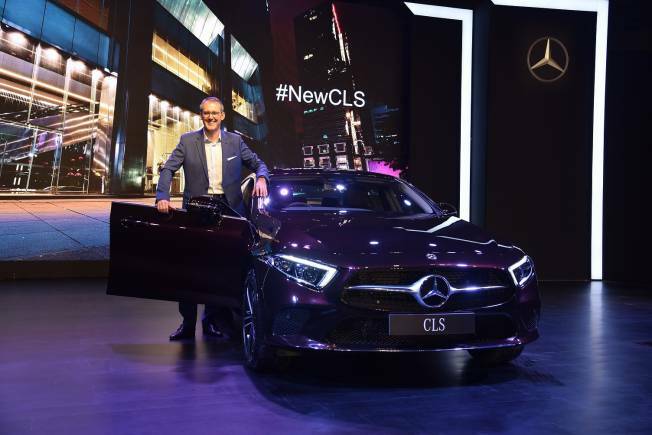 German luxury car maker Mercedes recently introduced the latest iteration of the CLS 300. The sports sedan is back with all new features and is set to pose as a fierce competitor in its segment. Keeping that in mind, here is everything you need to know about the four-door coupe. The CLS 300D redefines flowing design, with its long bonnet and a short rear overhang. It also sports angular LED headlamps, a big 3D grille, and wide, two-part LED taillamps. The 18-inch alloys complete the posh look of the coupe. Borrowing elements from the E-Class, the CLS 300D promises luxury and comfort right from the get-go. The metallic, wooden and leather finishes along the inside feel realistic, and the 64-colour ambient lighting amps up the cosiness considerably. The turbine-shaped air-conditioning vents also change colour between red and blue as per the two-zone climate control setting. The entire information about the car is displayed on two 12.3-inch screens. Armed with semi-autonomous parking, road tracking headlamps and auto adjusting high-beam, the CLS 300D is an efficient, passenger-oriented car. It also has switchable riding modes, which alter everything from gear shifts to suspension setup and steering feedback. The new CLS 300D is powered by a 2.0-litre, four-cylinder turbocharged diesel engine. It churns out 245 PS of peak power, and 500 Nm of peak torque. The 9-speed automatic gearbox shifts seamlessly through gears to give the driver a smooth and jerk-free drive. The air-body control suspension ensures the passengers inside stay as undisturbed as possible. 5. Revised costingThe Mercedes Benz CLS 300D is priced at Rs. 84.7 lakhs (ex-showroom), putting it high in the list of premium sedans in India. Though it is on the higher side, the CLS 300D is one of the most loaded cars in the segment, making it relatively value for money.